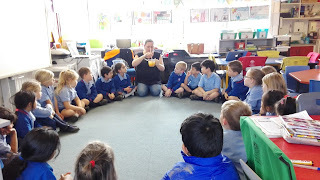 As part of our topic we talked about how we can mix water (liquid) with juice powder (solid). 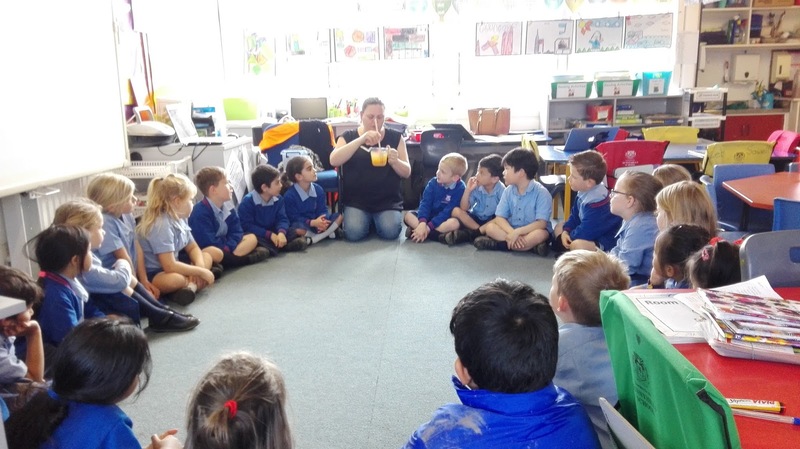 The powder dissolved into the liquid. 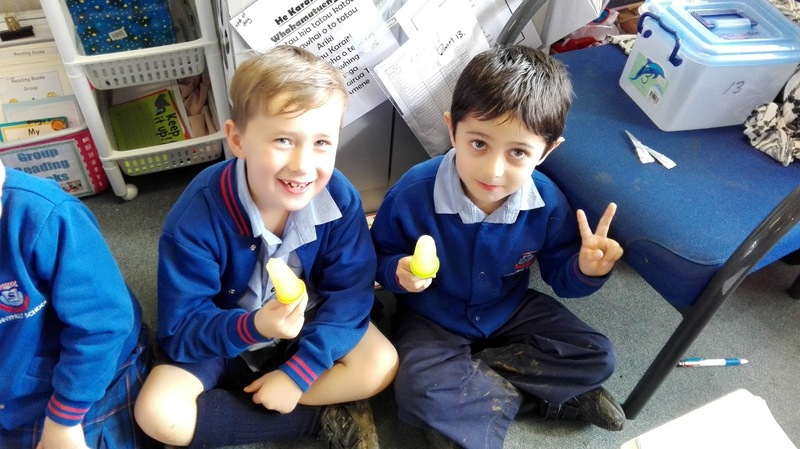 We talked about this being an irreversible change. 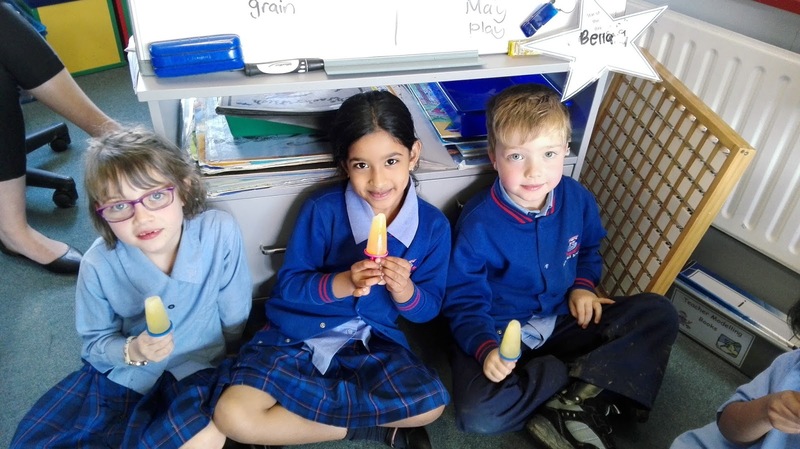 We then talked about what would happen if we put the liquid into the freezer. 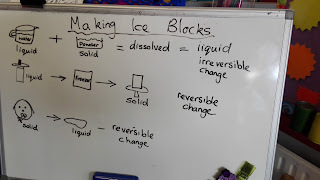 It would change into a solid. When we took the ice block out of the freezer, the air around the ice block was warmer than the ice so it started to melt. This was a reversible change. 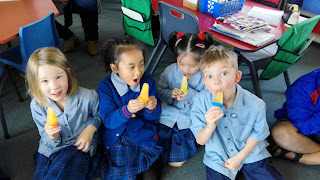 The ice blocks tasted yummy. We had fun while we were learning! yum! yum! yum! 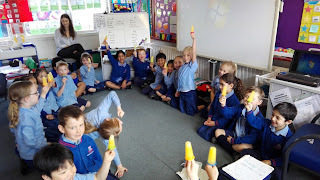 It would have been the yummiest and coolest science experiment ever.You all seem to relish it fully. 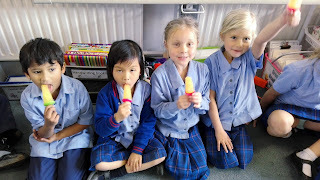 I Liked eating the Ice Blocks BY Natasha. Room13 ,I think you have such a fun day. Wow! 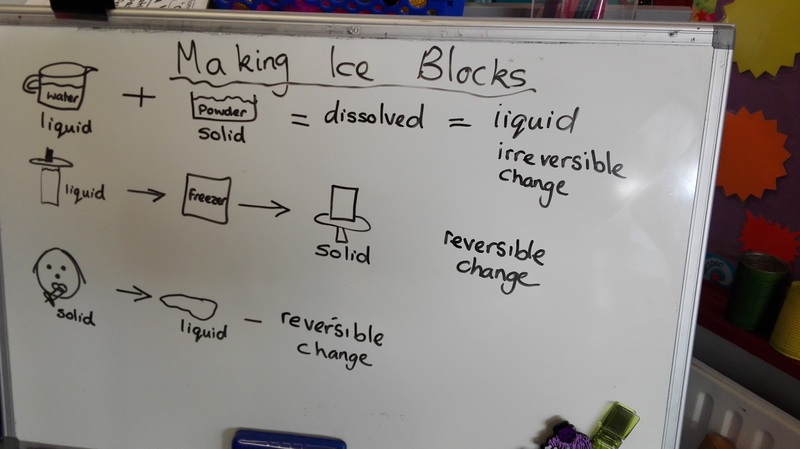 Looks like you had fun learning about water turning into ice blocks. 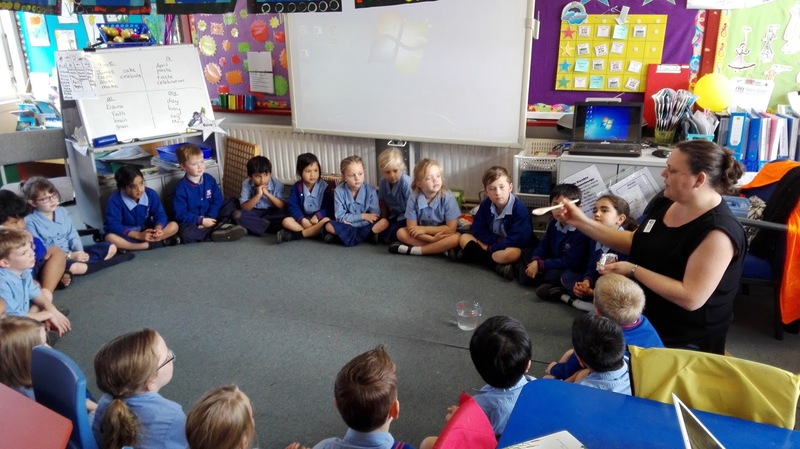 I wish I was there learning about water. Room 13 this looks very interesting. Seeing the different Scientific states of water is much easier when you can relate it to a real life experience. 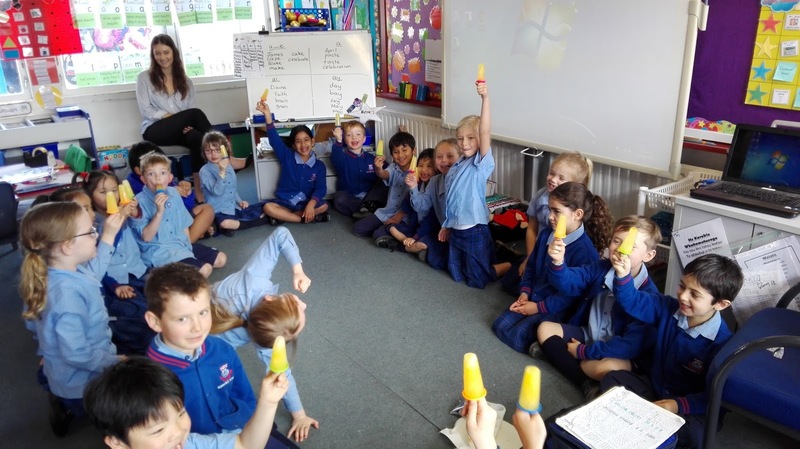 Maybe some of the Year 2s in Room 13 would like to join Mrs Trembath in The Science Club next year?! 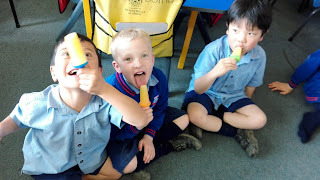 Those Ice blocks were yummy!!!!! !